The ball will get rolling with Variola. 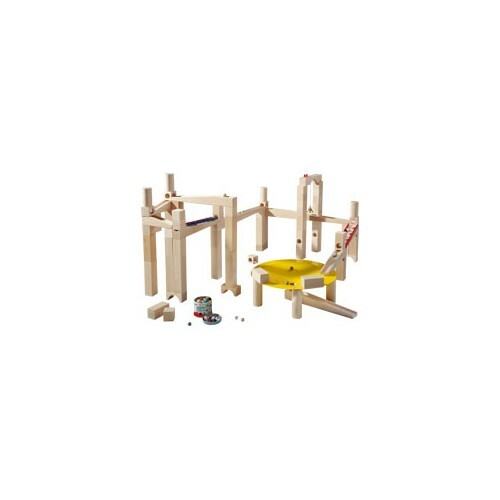 It's guaranteed that no boredom will set in with this ball track system for children from 1 1/5 years old to build themselves. Firstly, the child will build for all they're worth and then the ball will be sent on its way. A starting spring ensures the necessary drive – off it goes! Constantly different, constantly new! 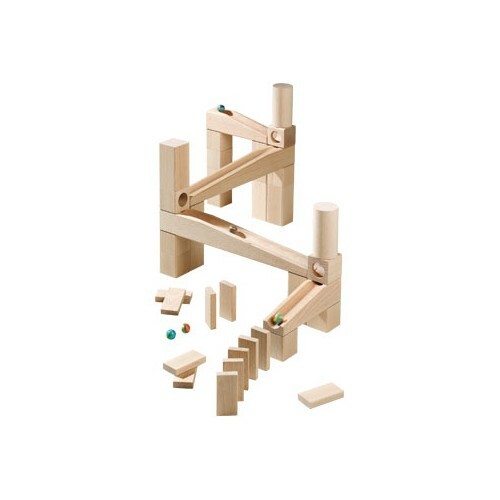 Contents: 21 wooden pieces, 1 wooden starting ramp (11,5 x 4,2 x 17,8 cm), 1 winner's bell, 2 wooden balls. Warning: Not suitable for children younger than 10 months. Danger of injuries in the area of the throat!